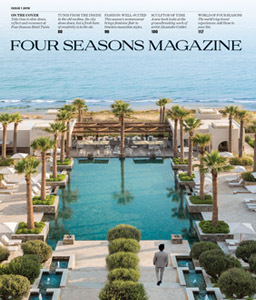 “We wanted the design to convey the notion of comfort with a casual and natural sensibility,” says designer Will Meyer. 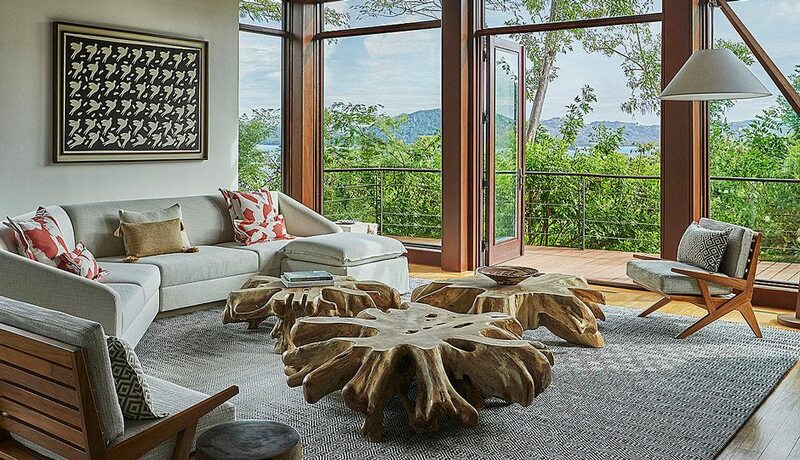 From inspiration to interior details, Will Meyer, co-principal of design studio Meyer Davis, takes us behind the newly redone Four Seasons Resort Costa Rica at Peninsula Papagayo. 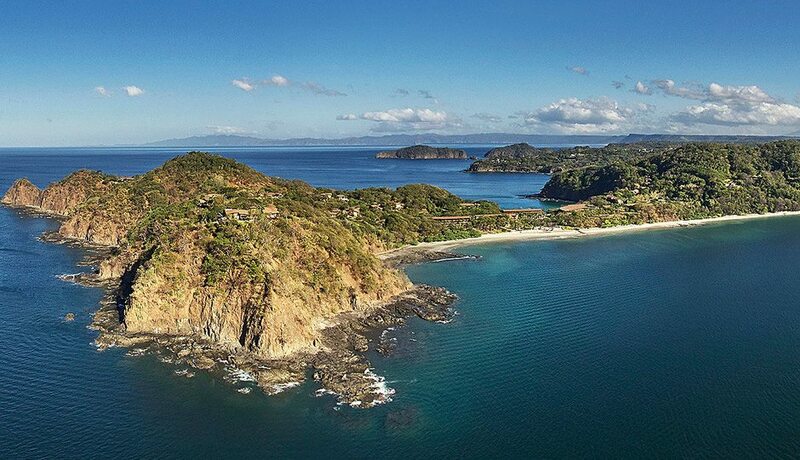 Set on the stunning north Pacific coast, Four Seasons Resort Costa Rica at Peninsula Papagayo has become a magnet for nature lovers who like their pura vida with a side of architectural finesse. 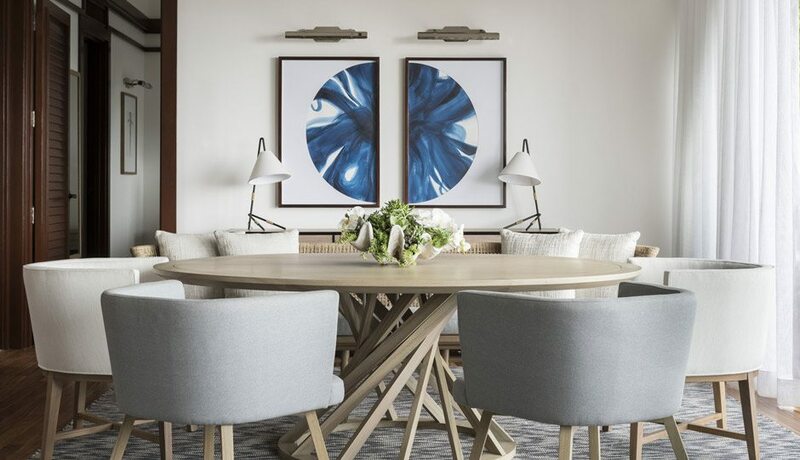 For 2018, the contemporary oceanfront property has been refreshed from top to bottom with interiors from renowned design studio Meyer Davis. We spoke to the company’s Co-Principal Will Meyer on creating the property’s luxurious yet dressed-down ambience. Explore the images below to uncover all the behind-the-scenes details. 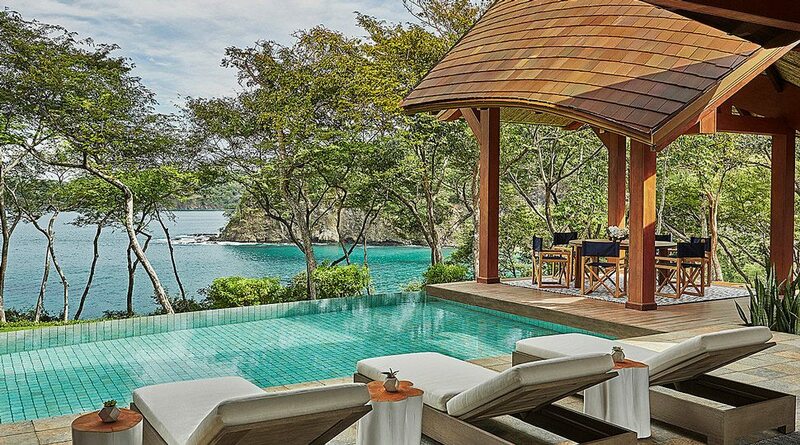 The Resort is the crown jewel of the 1,400-acre (570-hectare) Peninsula Papagayo, on the north Pacific coast of Costa Rica. 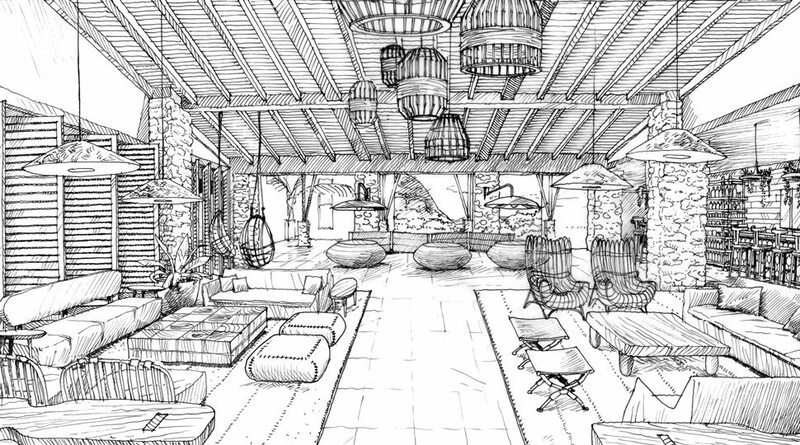 A sketch for the redesigned lobby, which features an open-air gathering space and updated retail area. 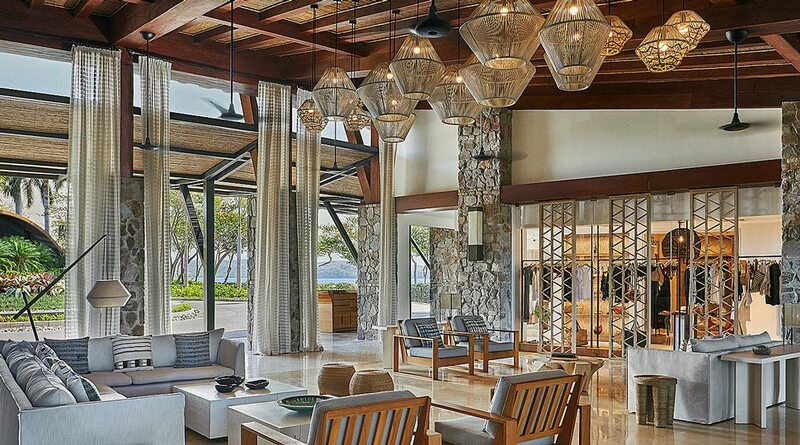 In the lobby, Meyer Davis incorporated materials like woven fabrics and charred wood that evoke the natural elements of the Resort’s surroundings. The studio also used pops of black to accent the space, a nod to Costa Rica’s volcanoes. 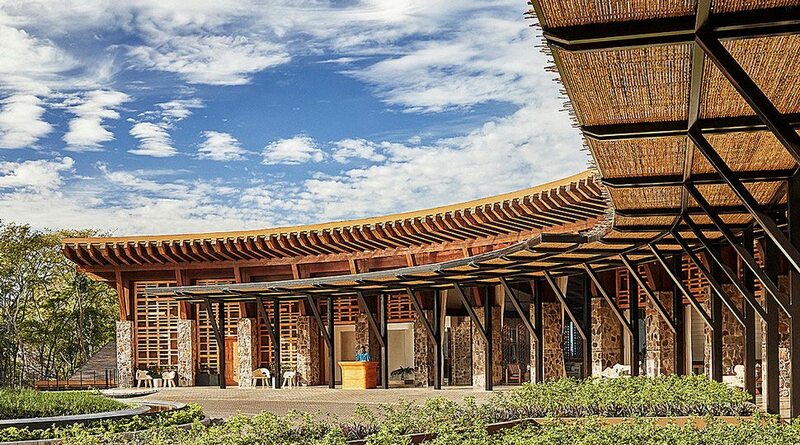 “The property has such heroic architecture and is set on a magnificent piece of land,” says Meyer. “Our mission was to bring the experience to a human scale and make it feel personal.” In that spirit, rattan shades soften clean, metallic lines and ease the transition from indoors to outdoors. The Resort introduced four new culinary concepts featuring locally sourced cuisine and redesigned spaces. 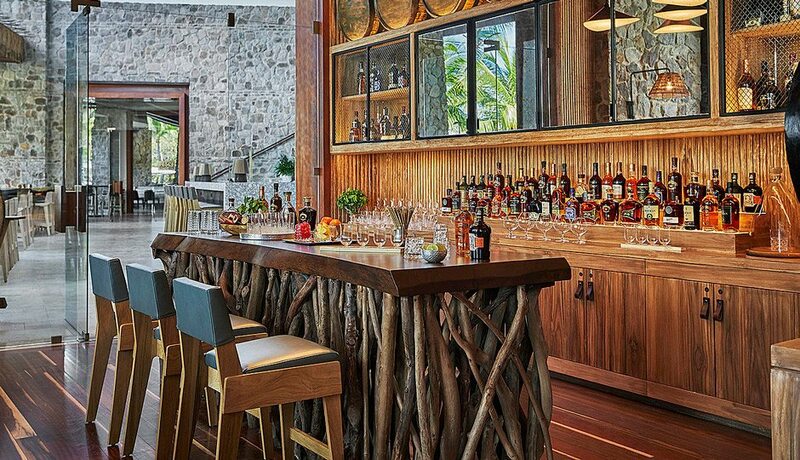 At La Reserva, guests can choose from a long list of premium rums and have the opportunity to create their own rum blend and infusions. 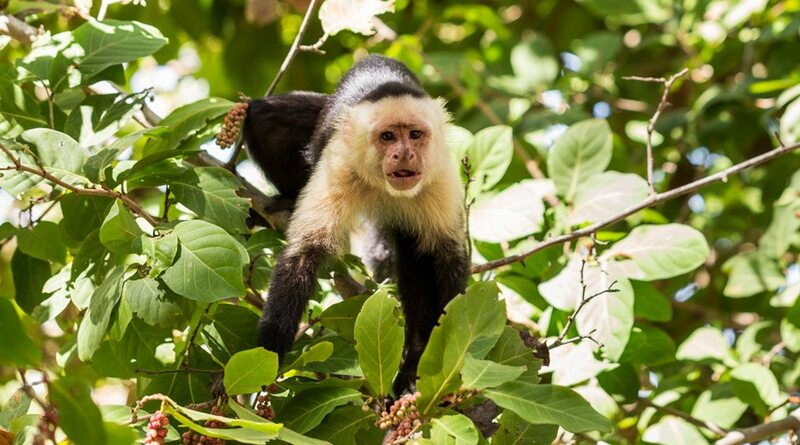 Monkeys were among the Costa Rican features that inspired the design – others included the country’s volcanoes, the white-sand beaches and the sea. “It’s very important to send the message to guests that it’s OK to hang your hat, to not wear shoes here, to relax,” says Meyer. 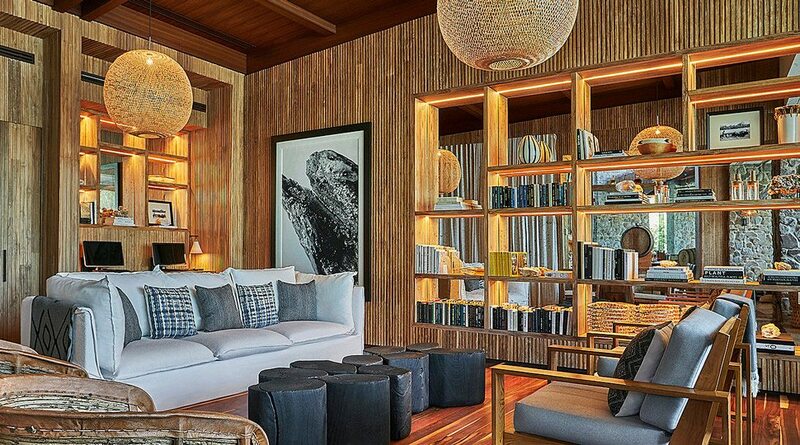 “We wanted the design to convey the notion of comfort with a casual and natural sensibility.” The result: an integration of the Resort’s signature indoor-outdoor spaces with the peninsula’s vibrant tropical landscape. Central to the project was the property’s new library, a warm, comfortable space that’s made for relaxing. Meyer Davis stocked its shelves with books on Aztec culture and the history of Central America, as well as vintage National Geographic magazines. 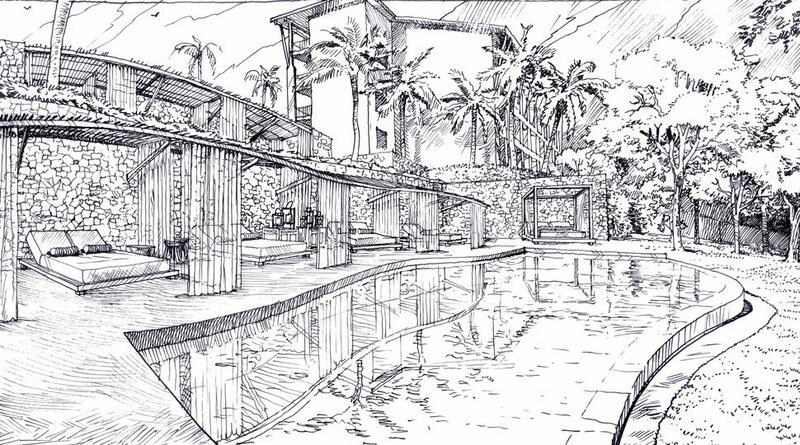 The sketch for the enhanced signature pool area with new luxury cabanas. 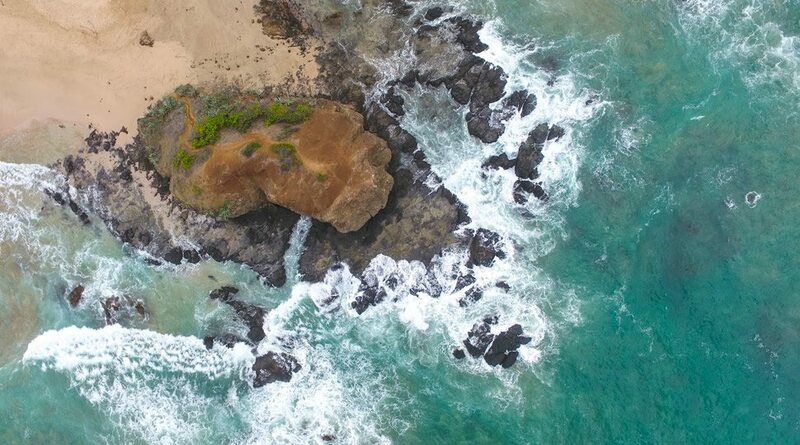 The Resort offers excursions and tours to help guests explore Costa Rica’s wild side, from hikes in Rincón de la Vieja Volcano National Park to a canopy tour of Witch’s Rock to aerial canyoning at Rio Perdido. 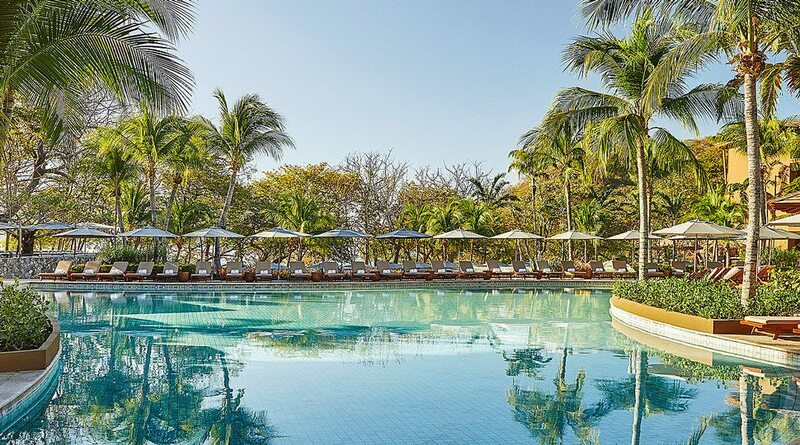 At the heart of the Resort – right between the two beaches – are swimming pools immersed in lush landscaping and surrounded by spacious pool decks and chaises longues. Bahia, the 1,000-square-metre (10,765-square-foot) freshwater main pool, is joined on either side by two smaller pools, with a nearby whirlpool grotto. “We livened the colour palette by making it really crisp, inspired by the rich, deep colours of Costa Rica like the blue ocean, the white sand, the green jungle,” says Meyer. Providing a convenient opportunity to see the Costa Rican forest, the Resort offers its own hiking trail. The route extends approximately 1 kilometre (0.6 miles), from the beach on one side of the Peninsula up the hillside and down to the beach on the other side. In the three-bedroom Miramar Suite, guests can step from the living room to the terrace for outdoor dining, then go for a swim in the infinity-edge pool with views of the Pacific and Bahia Culebra. 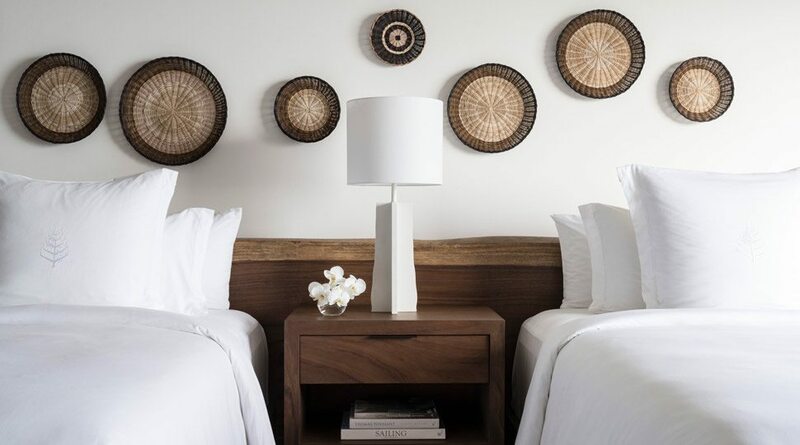 Redesigned guest rooms include new furnishings, rich textures and local elements like artisan pieces and artwork that create a seamless visual connection to the ocean views on display beyond each room’s private balcony or patio. 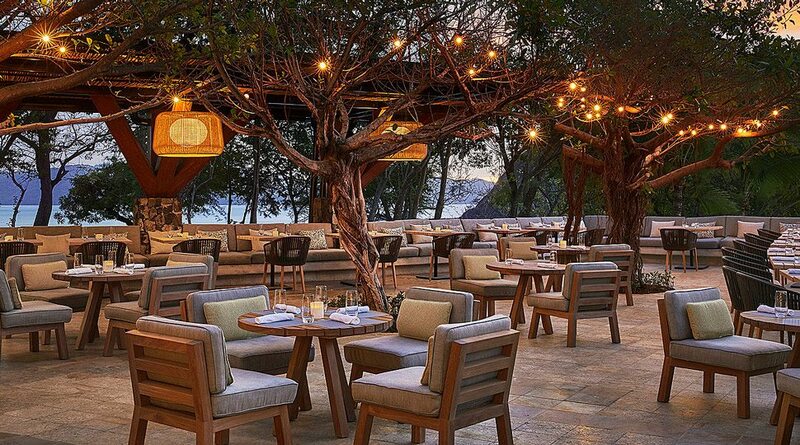 Bahia restaurant serves up sophisticated Latin American cuisine, created from organic and locally produced ingredients prepared in a wood-fired open kitchen. “The concrete banquette gives the space a communal feel, while the indigenous trees, which are lit up at night, really make the space glow,” says Meyer. The al fresco setting is enhanced by ocean views during the day and starlit skies in the evening. 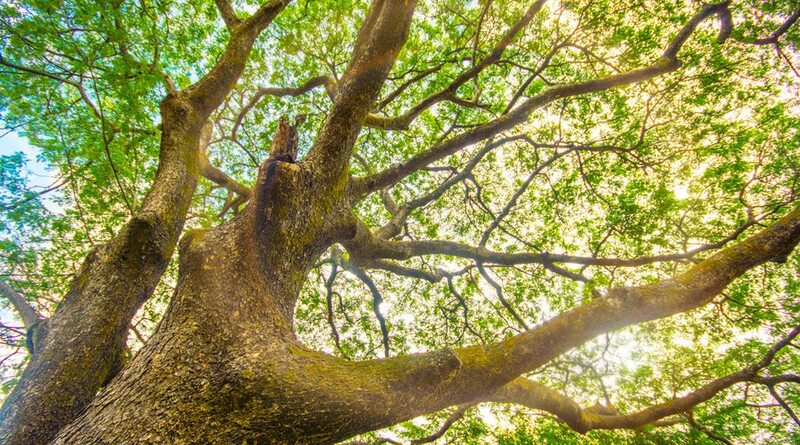 The Resort offers a guided “Trail of Giants” tour of the tropical dry forest surrounding the golf course that’s home to endangered birds, monkeys, iguanas, butterflies – and more than 25 species of giant trees. Guests will learn about the exotic flora and fauna of Costa Rica while enjoying the lush forests and awe-inspiring views of the Pacific Ocean. Uncover your next great adventure. 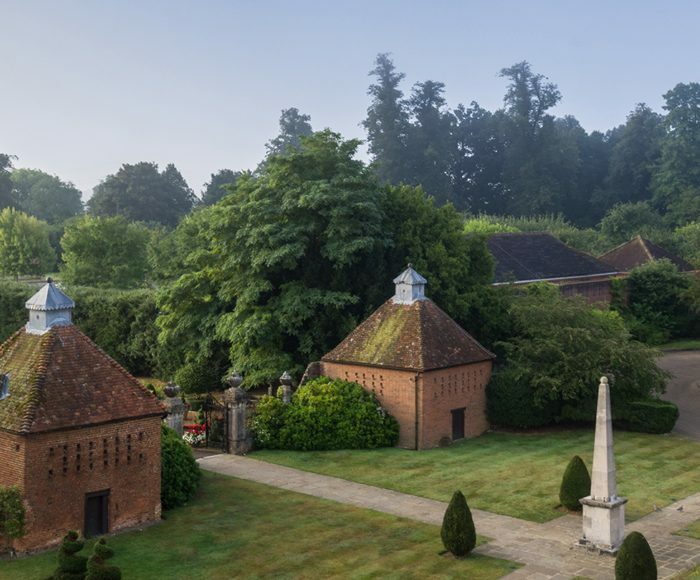 Uncover the history of our grand 18th-century Georgian manor house. Follow one glamorous couple on their picture-perfect weekend getaway on the California coast. brilliant hues and energetic prints sure to illuminate the season ahead.